← Carnarvon Yacht Club – SORRY – CANCELLED AGAIN !!!! 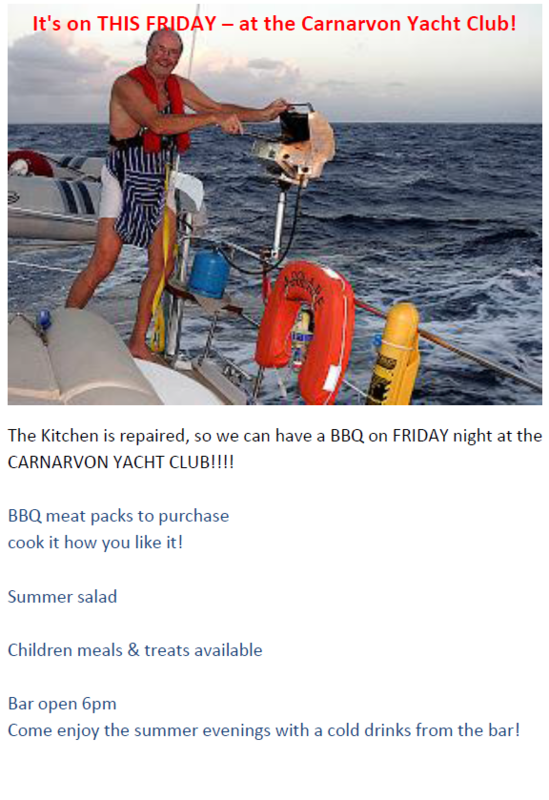 The Kitchen is repaired, so a BBQ is on FRIDAY night at the CARNARVON YACHT CLUB!!! !